In celebration of the upcoming Director's Cut of SH2 (also nemi and maiji lamenting that they can't enter the Japanese contest XD;;), we are proud to present you ICARO's first fanart contest! In the spirit of the Director's Cut, the theme is "Behind the Scenes", aka. scenes we never saw. Illustrate something you would have liked to see, in any of the games (Koudelka, Shadow Hearts or Shadow Hearts: Covenant), that never actually happened. Or something that was touched upon or mentioned - perhaps an allusion to the past - but was never really shown. Perhaps a character's fond memory? Or some crazy twist on canon story? What can the loving, obsessive or disturbed little SH fan in you dream up? Feel free to make it as silly or as serious as you want. 4. Send your entry in JPG or GIF format, and choice of grand prize (CD or gift certificate) to here, with the subject line "Behind the Scenes entry"
*Choice of store to be discussed between the winner and contest sponsors. Obviously, there are some restrictions - said store must offer online gift certificates, accept US dollars, be of good reputation, etc. Q: Can I submit more than one entry? A: Yes you may, but you will still only be eligible to win one of the prizes. Q: If I choose the gift certificate as the grand prize, how much will it be for? A: The grand prize gift certificate is roughly the same value as the CD (US$20). Q: Can people outside of the US enter? A: Yes, as long at the US Post Office lets us send the prize to you! (preferably via Global Priority Mail) See here for the restrictions & rates the USPS has for different countries. In the case of gift certificates, there should be no problem there as long as we can buy online gift certificates from your chosen store. 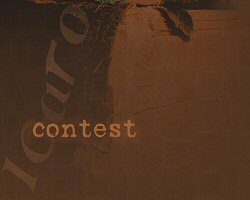 We are also looking for a guest judge for this contest. The guest judge cannot be an entrant. Applicants need to be available online March 24th for same-day judging. If you'd like to help out, fill out the form below and send your answers to here with the subject line "Guest Judge Application"
Applications are due by March 16th.